We are proud to re-open a historic building, Muskogee Fire Station Number 1, that is part of the rich and colorful past of the City of Muskogee. Muskogee has played an important part in Oklahoma history. By the end of the century the Muskogee business district, which surrounded Main Street, Okmulgee and Broadway, became a bustling area of shops, markets, saloons, hotels and theaters. 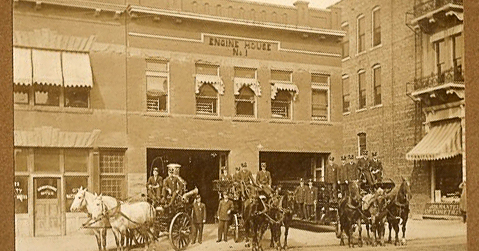 In the late 1890’s the city had a volunteer fire department. Unfortunately, they were unable to cope with the great fire of 1904 that consumed a majority of the business district, including the city’s wooden firehouse. Rebuilding of the Muskogee business district began, and the city’s first full time fire department was created. 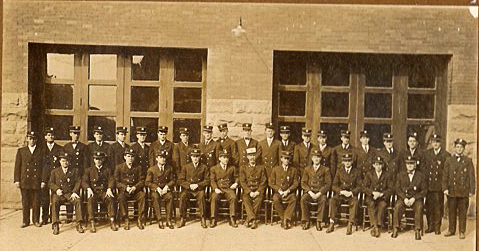 Muskogee Fire Station Number 1 became the first brick firehouse in Oklahoma. Station 1 remained a central part of the Muskogee fire department until the year 2000, when more modern facilities were build. 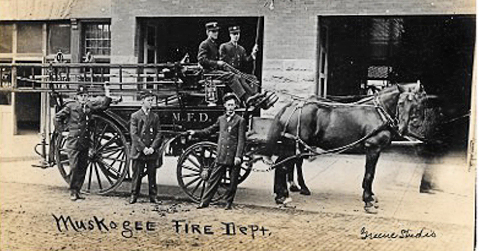 The great history of Muskogee still resides in the bricks, beams and soul of Station 1, where we are serving great food, with friendly service. Please dine with us, soak in the rich heritage of the city, and stay in touch with us, as we work to build and bring to life the next phase of our project – Muskogee Brewing Company. © 2017 Station 1, 121 S 2nd St, Muskogee, OK. (918) 910-5302. All Rights Reserved.